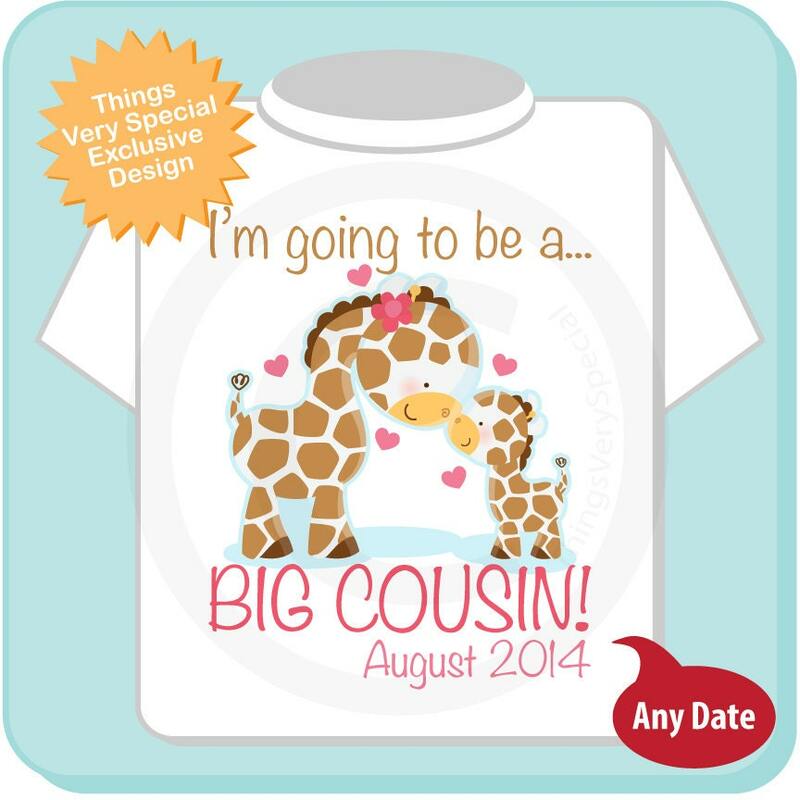 Super cute Personalized Big Cousin tee shirt with awesome giraffe big cousin with Due date. Due date if you want it added. 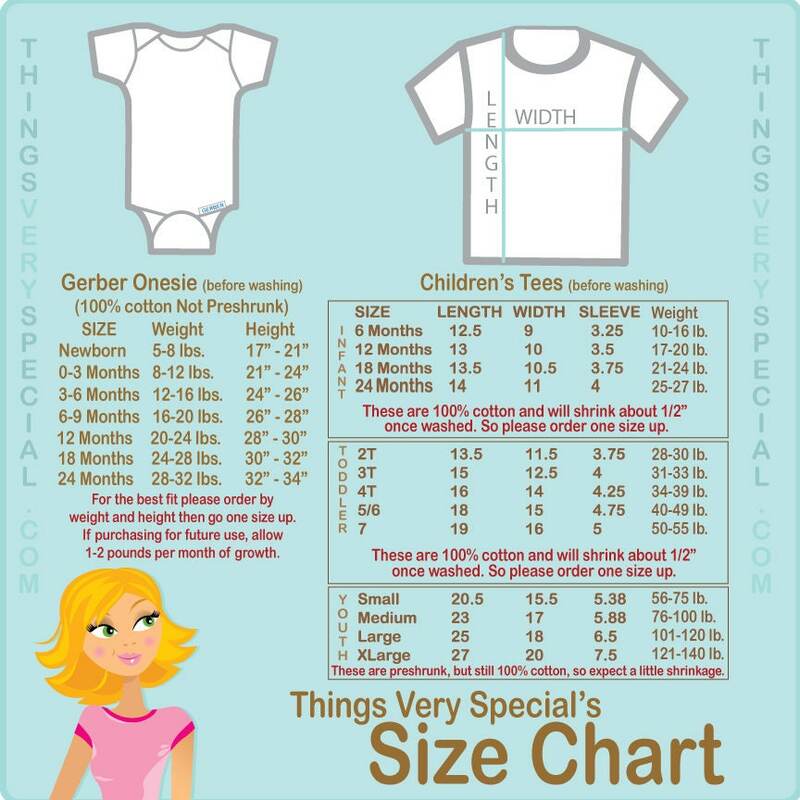 If you would prefer a little girl baby let me know that as well and I'll add a flower to her head too. Love the selection at this store!!! 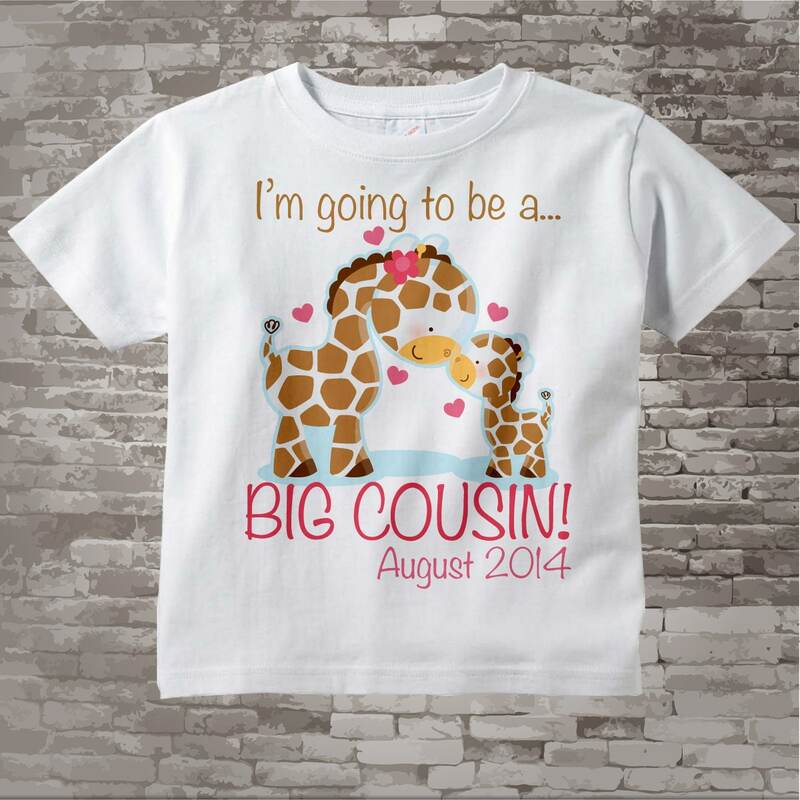 Very cute shirt! Exactly what I wanted and was shipped so fast!! !